First, according to local conditions, select super rice varieties to use super rice varieties, to comprehensively test and grasp the four basic principles, that adaptability, high yield, resistance and quality. Variety selection should also be based on local conditions. Low fertility, soil viscous, early stage of the slow-growing rice fields, should use strong varieties of tillers; high soil fertility, soil soft, early in the early rice field, should choose medium or strong varieties of tiller. In the same field plot, the varieties were selected to be as uniform as possible, consistent in ripening period, and easy to manage and unify the technical measures for cultivation. Second, timely early sowing and transplant sowing: Photosensitive varieties are sown in early July. The autumn variety is planted in mid-July. Transplantation period: Transplantation of the transplants was performed at the beginning of August to the beginning of August. With medium or small seedlings or plastic trays, the transplant period may be earlier. The late-season heading should avoid the effects of cold dew wind. Late-season varieties should be arranged before and after October 10th. Autumn-early varieties should be arranged before October 5. High-cold mountainous areas should be arranged at the end of September. III. Cultivation of age-appropriate seedlings 1. Seed preparation: The seed purity should not be less than 98%, the cleanliness should not be less than 98%, the germination rate should be no less than 85%, and the seed germination rate of hybrid rice should not be less than 80%; After drying, use strong chlorine extract 450-500 times liquid soaking seeds for 4-6 hours to disinfect the seeds, then wash and then soak for 8-10 hours. The soaking process should change the water 2-3 times; 2. The use of conventional seedlings for large seedlings in Daejeon is to be used for the sparse sowing. The amount of 1.5-2 kg per mu for the conventional rice seedlings and 10-12 kg for the seedlings per mu. The amount of hybrid rice used by Honda is 1-1.2 kg, and that of Mutian is 7-8 kg. The seeding rate of the seedlings can be changed according to the style of the pods and the age of the transplanted leaves. Generally, the transplanted mu for the medium and small seedlings can be appropriately increased. Fourth, Putian management Putian to apply enough organic fertilizer, full-scale and Putian fertilizing more than 15 days fertility. General Putian Mushi superphosphate 20-25 kilograms of basal fertilizer; low fertility in paddy fields should be applied organic fertilizer in appropriate amount as basal, or Mushi compound fertilizer 15-20 kg as base fertilizer. In order to use conventional field-cultivation in Daejeon, it is necessary to make good seedlings with one leaf and one heart, two leaves with one heart and weaning fertilizer and four leaves and one heart to promote fattening; one leaf with one heart and one fat, can apply thin decomposed human excrement or Urea Mita 2.5 kg; Once weaned fertilizer, the general can be used to compile human urine mixed with a small amount of phosphorus and potassium fertilizer, or Mushi 3-4 kg of urea mixed with a small amount of phosphorus and potassium fertilizer, the general can be applied to compost human urine mixed with a small amount of phosphate fertilizer, or mu urea 3-4 kg mixed A small amount of phosphorus and potassium fertilizer, or mu compound fertilizer 10-12 kg. Four-leaf and one-heartedly promoting manure, Mushi urea 4-5 kg â€‹â€‹mixed with 3-4 kg of potassium chloride, or Mushi compound fertilizer 10-15 kg. During the education period, Putian should pay attention to avoid chemical nitrogen fertilizer and increase phosphorus and potassium fertilizers. In the late summer, the temperature of the seedlings is high, the sunlight is sufficient, and the seedlings grow rapidly. The number of days of raising the seedlings should be strictly controlled and transplanted in a suitable period. In addition, we should also do a good job in weeding and prevention of pests and diseases in Putian. Plastic floppy disk breeding, generally adopting slurry sowing wet method. According to the practice of seedling seedlings in conventional paddy field, Shitian applied basal fertilizer and smashed and smashed. Drain the field water and raise the rake. Put 2-3 rakes close to the rake surface, press lightly into the mud, and then apply the mud from the working line to the retort with a wooden board or hand. Squeeze flat. The seeds are evenly sown on the smash tray, and then the buds in the work line are used for budding or burying the buds with a wooden board, not scraping. After sowing, irrigation water in the irrigation field in Putian was kept moist, and the water was sprayed 7-8 days after sowing, and 5 kg of compound fertilizer was applied per acre. Drainage 2 days before throwing, make Putian dry, easy to throw and throw. In addition, the seedlings at the one-leaf-hearted-on-a-half-year-old stage, with 15% paclobutrazol 1g mixed with water 1 kg once evenly sprayed, can prevent the seedlings from growing, promote the dwarfing of seedlings, develop the root system, increase the tillering, and control and promote the extension. Ageing, nurturing the purpose of strong and strong. Complete size and reliable quality of LPG Cylinders have gain our company good reputation.We are manufacturer and supplier of Gas Cylinder following your specific requirement. 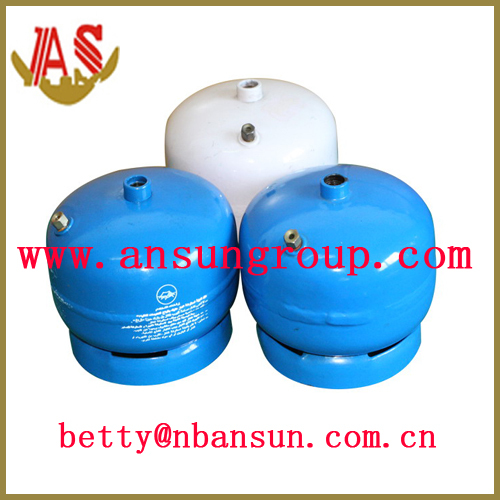 At the same time, we can according to your design to produce the valve for your request.